Hello. This is a Korean in America. This is the second class in Kdrama 101. Have you ever wondered why a Korean drama chose to go in a certain creative direction or a lack of a creative direction? To understand why, you have to understand the Korean audience! The theme that dominates Korean culture is the concept of “Han”. While, it is similar to the concept of “Sorrow”, it is difficult to find a direct parallel in the English language. How do you describe “Han”? 1. Take a cup and fill one third it with a generate dose of agony caused by a life time of suffering. 2. Then, add some deep simmering resentment to the mix. Pour until the cup is two thirds full. 4. Now for additional flavor, sprinkle a little jealously towards everyone especially the people you are close to. Now, after you stir it slightly being careful that the ingredients do not mix equally, you have “Han”. This recipe of “Han” is a little old fashion. To update the recipe to the modern age, you add a table spoon or two of Modern self-importance in to the mix and shake it well. This is the Modern “Han” that dominates Korean culture. So, how does “Han” influence Korean Dramas? When you imagine what role “Han” plays in Korean culture, try to equate it to how guilt and Jewish culture or self-improvement and mainstream American culture. Just think those themes for a moment. Not only do they determine the overall direction of the narrative, they also form the journey. For example, the theme of guilt in US shows led to the motif of self-reflection throughout the narrative. The theme of self-improvement led to the development of the montage technique is Hollywood movies. Without those themes, you would not see those stuff in U.S. shows. And that is why you do not really see those stuff in Korean dramas. The concept of “Han” is mix of contradictory concepts. It is stubborn but directionless. It is passionate but passive aggressive. It is bottomless but shallow. In other words, “Han” is shapeless. As a result, it has a tendency to be viewed as overly passionate at best or as Schizophrenic and obsessive at its worst. From personal experience, I would have to say it is rather psychologically unhealthy. It does create a hole in your psyche that is difficult to fill because it lacks any concrete shape and is passive by nature. If I get < blank> , I can die without “HAN”. So, you see how influential the concept of “Han” is in Korean culture. And the Koreans born and raised in this culture are the audience of Korean dramas. To be more specific, women over 30 are the main target audience of Korean dramas. It can snow in summer if a woman is consumed by “HAN”. While the concept of “Han” is influential across genders, it does have a stronger connotation of femininity because the female population has always been treated as lower species of people in Korea. In modern Korea, things have improved for women. However, they are still seen as a lower species albeit closer to equal than let’s say 20 years ago. So, from this “Han” filled audience, you can guess that Korean dramas are fueled by “Han” in a sense. The “Han” theme permeates all Korean dramas ranging from romances to revenge stories. In some ways, the reason for all Korean dramas basically constituting a single genre with various subgenres is because of obsession with “Han”. At their cores, Korean dramas are intended to feed the emotional hole created by “Han”. So, if you are someone who wishes that Korean dramas would expand beyond “Han”, you should just watch shows from other cultures. 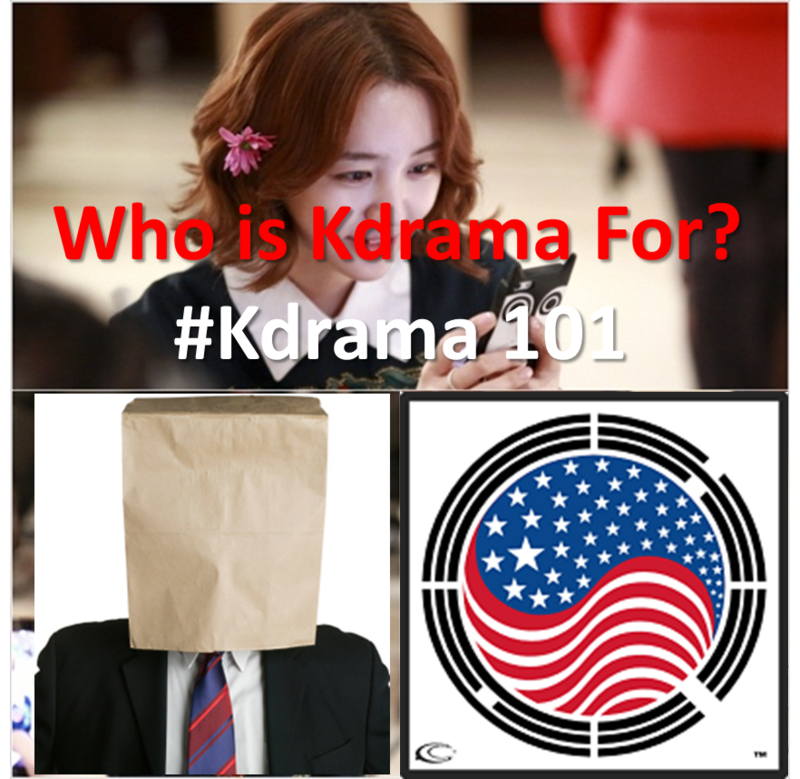 Class 1 of K-drama 101: What is K-drama? Class 4 : What's up with Historical Kdramas? The concept of "han" (恨) in Korean culture is dacinating. Knowing that this exists is an important key not just to the subject at hand but to the Korean psyche in general. In opens many doors and answers many questions.Why did I use the Chinese character? Because it simply re-enforces my idea that a Chinese charater is not just a word but rather it is s whole concept.So for this reason such words are not eaily translated into other languages especially Western languages. The character 恨 exists in Chinese as "hen" and in Japanese with two different pronunciations "kon" and "ura(mi)". The general meaning of the word is similar in all three cultures but it's position differs significantly among the three and nuance really comes into play. in the literal sense it carries the idea of pathos, hatred, un requited revenge, grudge, regret and the list goes on and on but in the end one must see "han" in its cultural context before it can be truly understood and appreciated because there is a great deal of feeling and emotion in words used in this manner. Japan has a similar concept that helps to define the cultural characteristics of the nation called "mono no aware" (物の哀れ). This concept contains many of the elements that the author of this blog mentions with regard to "han" at also lacks some of the elements of the Korean concept of han but adds other elements, logically as these are two separate cultures that in spite of being close in many ways are still different. The exchanges between the two nations has been going on for more that 2000 years as well as a great influx of Chinese influences on both countries. While there is a tendency to emphasize the differences between the two there is another school of thought among scholars of both nations to emphasis the similarities between the two. Both opinions are very prevalent between two nations that share a common border and thus a somewhat common culture in language, customs etc. In any event, the Koreans understand Japanese though far more than Western nations when these abstract concepts and the same may be said of the inverse.This is logical but still needs to be recognized. In brief if we are able to incorporate both the sense of han and mono no aware into our thinking we will certainly gain a better insight of not only the region but but we will enrich our own lives as well.Both are concepts that the, often over materialistic, West would do well to put to use in this day and age. In learning from the East we have but scratched the surface. Actually, the closest description of this in English, that I can discern, is "Self-Pity". Perhaps "Angst" and "Narcissism" also apply. An interesting perspective into theatrical drama and its themes in other cultures, I must say.